For many years, I was a latch-key kid. Both parents worked and my brother and I would often be asked to take some meat out of the freezer to thaw so when my mom came home from work it would be ready to start. As we progressed into our high school years, we would occasionally get the meal started beyond basic thawing. 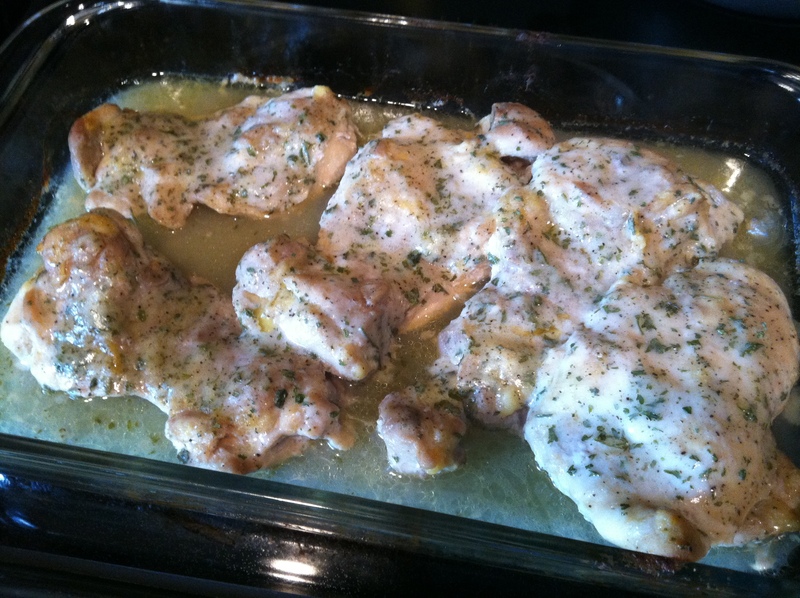 One meal that was in regular rotation in our house was Ranch Chicken. A simple, but delicious dish. As a kid the chicken was always chicken breasts (with skin and bone). The skin would crisp up and be so flavorful. 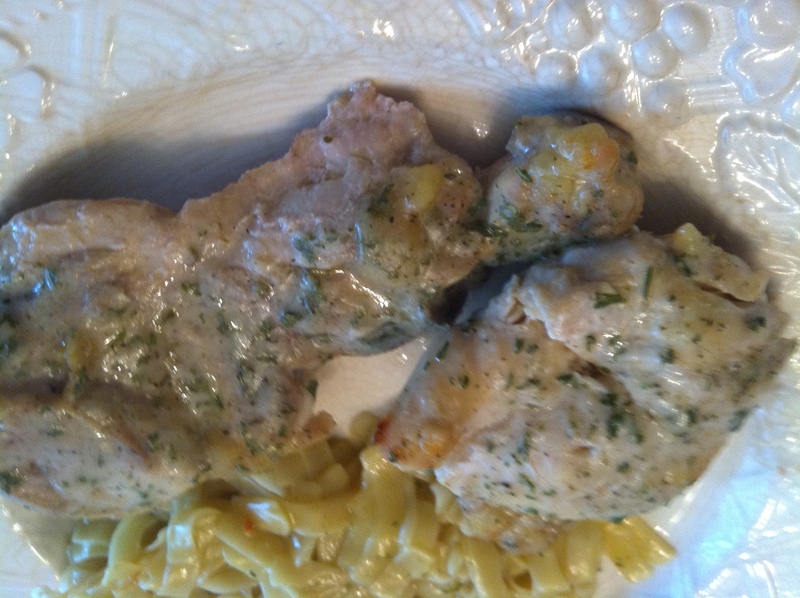 As I got older and the idea of eating the skin went from typical to unusual and the deboned chicken breasts became more common, that became the cut of choice. Still today, that is what I generally use, but I had some thighs and used them. 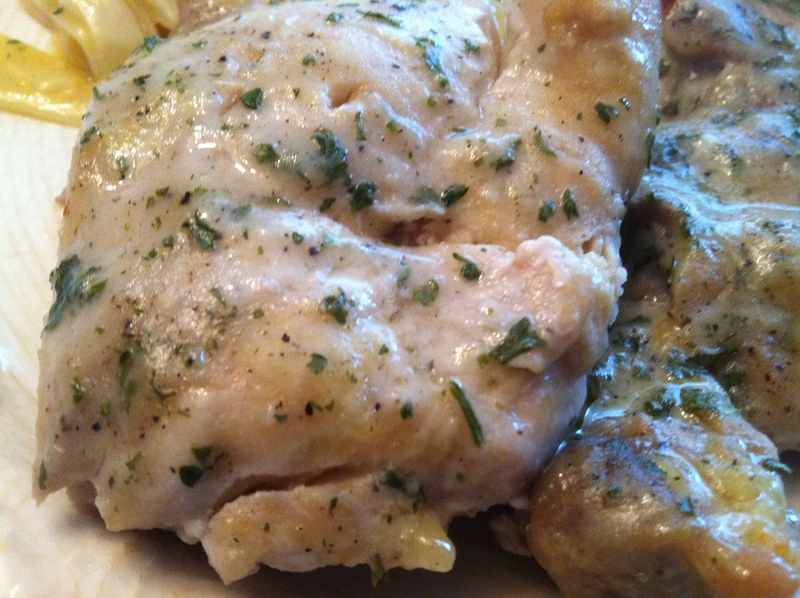 Baked chicken can be so bland, but the Ranch dressing packet brings a great amount of flavor. Lemon juice helps the flavor pop! 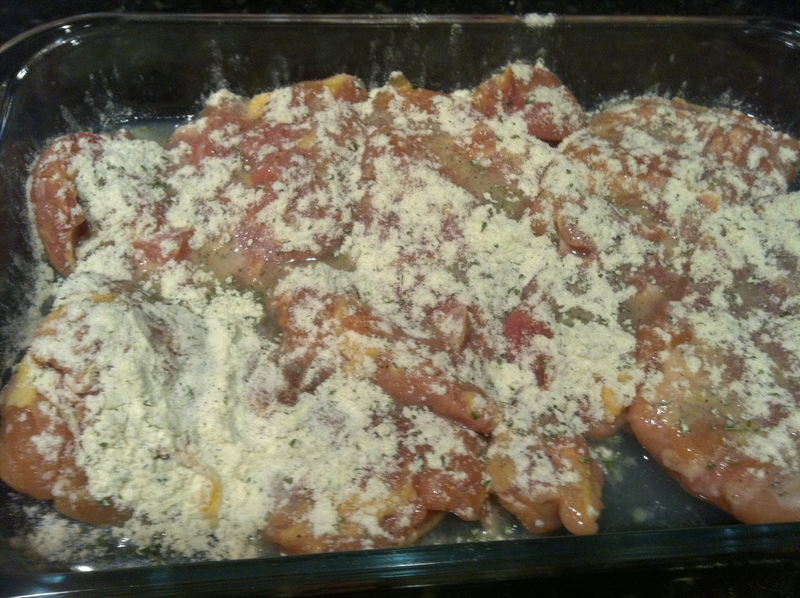 Place the chicken in a baking dish and sprinkle with lemon juice. Sprinkle with a packet of dry Ranch dressing mix. 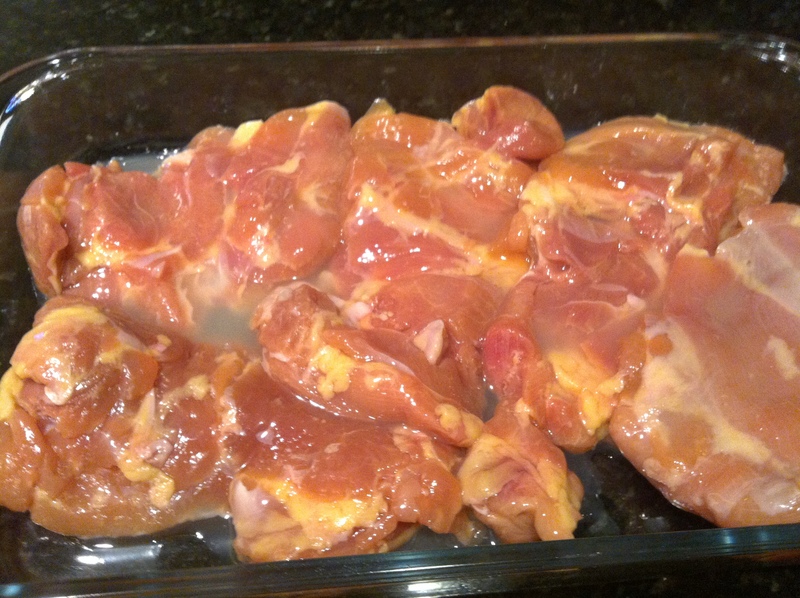 Place chicken in a baking dish and coat the top with lemon juice. Sprinkle the ranch mix over the chicken. Bake for 45 minutes. I cannot wait to try this! I work full time and usually struggle with ideas for dinner that are quick and easy. Thank you for sharing! Who doesn’t love an easy meal for a weeknight! This one sounds great! Will try very soon. Thanks for posting this! I prefer doing this with the wide selection of herbs and spice I have. I have never been a fan of Ranch flavoring. I have used the seasoning packet to make spinach artichoke dip(the kind that includes the chopped and dried spinach) for things like this and that has been very good. Sounds yum! Will have to give it a try. Thanks. This sounds awesome a much try. 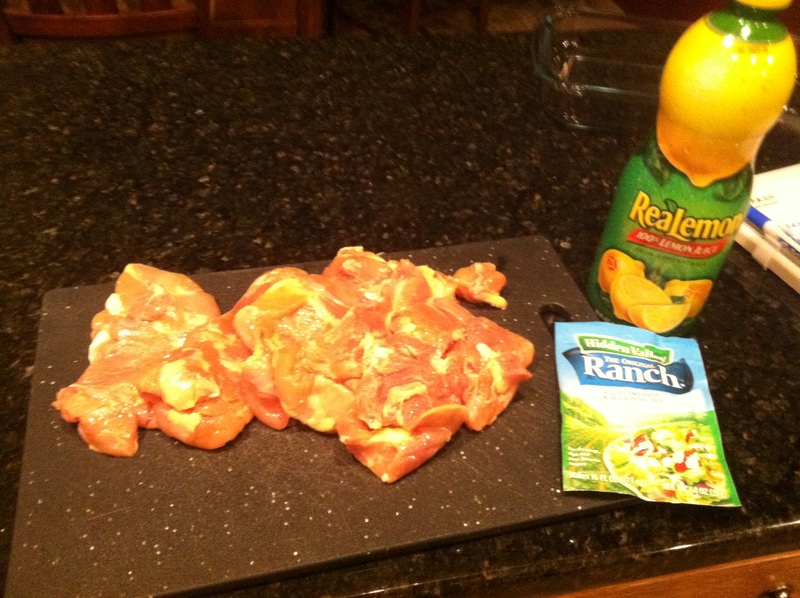 Love Chicken love lemon and love ranch packets. I to had to start dinner when I got home from school. I even picked out what I wanted to cook for the family. The chicken looks very good. Thanks for sharing your recipe. I made this last night, and it turned out great. The only minor change I made was that after 45 minutes, I turned the oven to about 500 degrees for about 5 minutes to get the skin crisp. There was so much flavor. If we make it again, I’ll probably make it with mashed potatoes and turn the pan drippings into gravy. Ah…the secrets of the latch key kids. This looks pretty darned yummy. I’m going to make a point to try one of your recipes ASAP. They look quick and yummy.